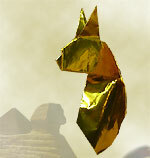 Bastet was a goddess in ancient Egyptian religion. 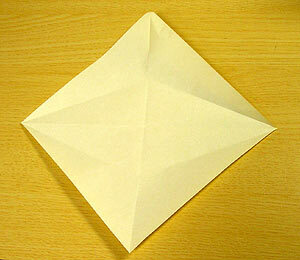 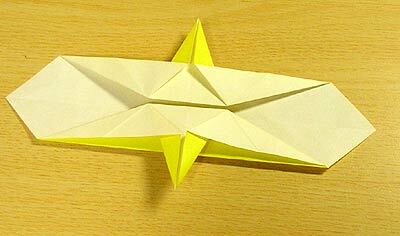 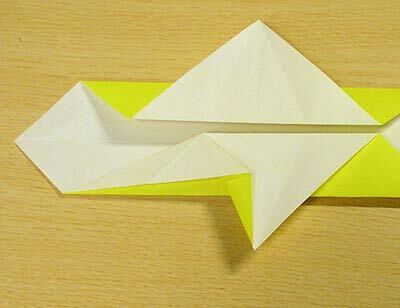 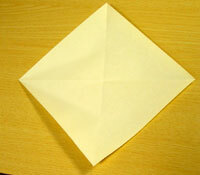 Fold twice to make creases, then unfold. 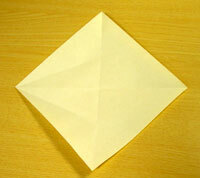 Fold up the the finger (it doesn't matter really if you fold all along, because this procedure is just to put creases). 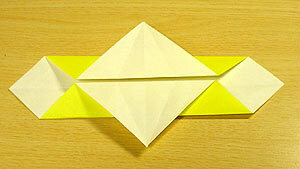 Do the same on the other end too. 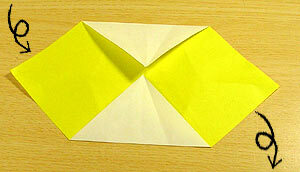 Turn over, fold to the center, then turn back over. 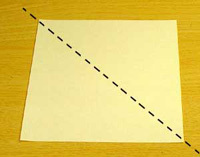 Fold to the center line. 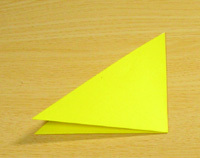 Squash fold and create a good triangle. 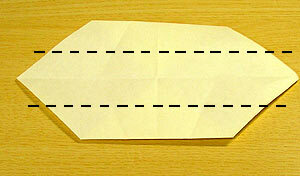 Do the same on the other side; these are the ears. 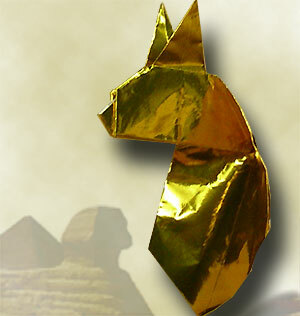 Copyright © 2002- nekohon　All Rights Reserved.